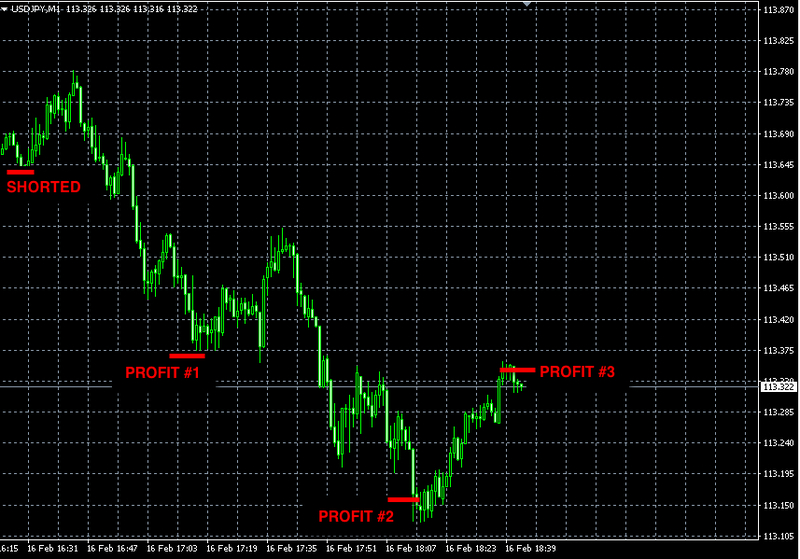 Profit target is the predetermined point to get out of a trade with profits to show for it. Usually profit targets are set at potential price turning points. Traders use profit targets in many trading systems in order to manage the risk. In order to estimate you risk/reward per trade, you need to know where the profitable exit point is. Not only profit targets let you estimate the risk/reward, but they take emotions out of the equation. Just open stop orders with preset entry, stop-loss and profit targets and never look at them again until they get complete. In Forex prices change so fast that sometimes it’s really hard or even impossible to close a profitable position before the price snaps back. How many times have you watched your unrealized profits eliminated and turned into losses? How many times did you kick yourself for not closing your position earlier? There’s no reason to close the entire position when you get to your profit target. Instead, you can close off a part of it and use a trailing stop loss for the rest to make sure that you at least break even on the remaining part. 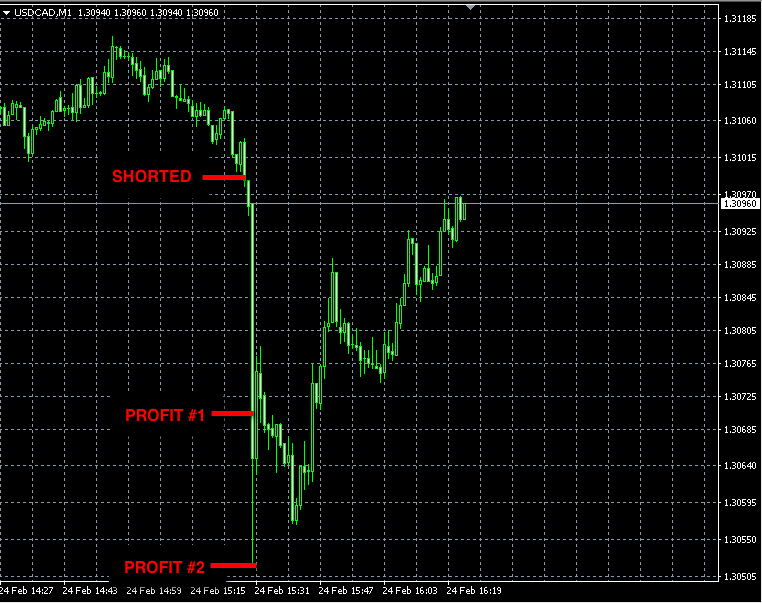 This will secure the profit you made already and still make money if a larger move occurs afterwards. Some believe that new traders can’t forecast profit targets. This is not true. Determining precise profit targets is not as hard as people make it out to be. Anyone can determine precise price turning points using simple proven tools. Below we present numerous instances when we predicted exact price turning points using widely available and commonly used technical tools. By EXACT PRICE TURNING POINTS we mean within few pips. Scroll through the history pages of our blog to see many more examples. 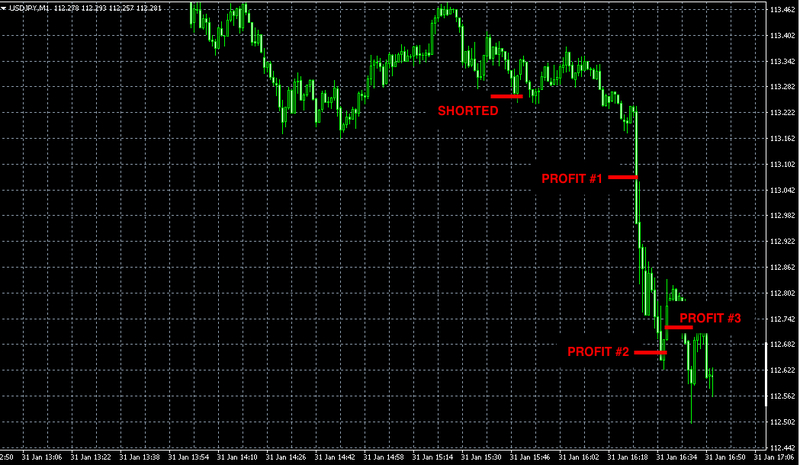 Our short USDJPY signal made +136 pips of profit today.